The conference is co-organized by Asia-Pacific Association of Science, Engineering and Technology, Szent Istvan University, Centre for Agricultural Research - Hungarian Academy of Sciences, Chinese Journal of Biologicals, in collaboration with multiple academic affiliations. 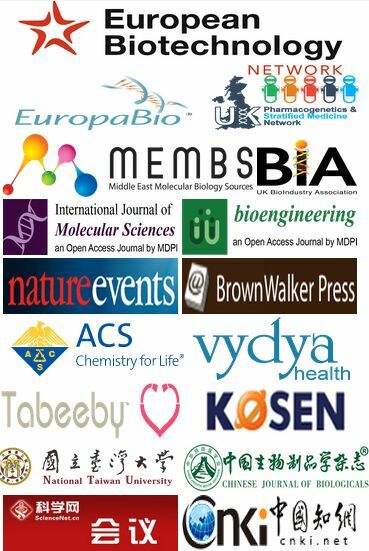 After peer review, all accepted abstract will be published in conference abstract book. The conference will be conducted in English Language and no simultaneous translation provided. The conference will last two days from Oct. 25 to 26, 2018. The conference program at a glance can be visited here. Previously conferences were successfully held in Offenburg, Germany (2017); Bangkok, Thailand (2016); Singapore (2015); Hong Kong (2014); China Mainland (2013 & 2012); Lahore Pakistan (2017, agriculture aspect). Last year in Germany, delegates and participants from 30 countries that attended the conference. For more details about previous conferences, please visit conference archives. All technologies, techniques and experimental strategies in biotechnology and bioengineering, including gene manipulation & editing, probe design; molecular marker & labeling, cell culture and manipulation, immunological techniques, computational and bioinformatic methods for analysis, modeling of biological data, etc. Tumor & Cancer, Immunotherapy, Adoptive Cell Therapies; Microbiota, Viruses; Biomarkers & Molecular Markers, etc. Gene expression & regulation; RNA & chromosome stability, DNA damage; Nucleic-acid metabolism; Metagenomics & Transcriptomics; Cancer genomics; genetic diagnosis & therapy, etc. Genomics: genome sequencing, resources, pharmacogenomics, functional genomics screens; RNA biogenesis; evolution; phylogenetics, epigenomics & epigenetics; population genetics, etc. Biobased materials, biosynthesis; Biopolymer; Bioactive Compounds and Natural Products; Bioenergy, Biocatalysis and Green chemistry; synthetic biology; systems biology; Constructing functional biocatalysts; Computational design and artificial catalysts, etc. Biomedicine, disease gene identification, gene therapy; molecular pathology, regenerative medicine, Pharmaceutics & Pharmacokinetics, Bio-pharmaceuticals, Drug delivery, Nanotechnology for Enhancing Bioavailability; Novel Drug Target Approaches, Toxicology, etc. Biosensors and transducers; BioImaging and BioSignals; Bioelectronics instrumentation; medical visualization; health care & decision support systems; BioRobotics and Medical Devices, BioMechanics and Mechanobiology, etc. Industrial biotechnology, Environmental biotechnology, including biofilms, algal systems, and bioremediation; Biofuels, including biomass and renewable resource engineering; Biomaterials, etc. Please Note: All communications from the ICBB organizer will only use the above authoritative contact information.